When people tell me what they love about our city, they always seem to mention Allen's great community spirit and hometown feel. It's something Allen City Council has deliberately protected and nurtured during an exceptional period of growth. We've found one of the best ways to foster that spirit is by creating opportunities and spaces for people to play together. Stephen Terrell, Mayor That's the vision behind Allen's newest CITY OF ALLEN community gathering space, the 75-acre Spirit Park. Located off Ridgeview and Bray Central Drive, it offers fresh opportunities to connect with your neighbors in a beautiful, natural setting. Recruit some friends to join our expanded adult softball leagues and enjoy a lighted complex with artificial turf to help prevent rain-outs. Plan a playdate at Allen is #1 in Texas, The Hideout, the park's one-of-a-kind #2 in the nation! playground designed to mimic a kidconstructed fort. Or take a stroll with your spouse through the park's looped pedestrian and nature trails, enjoying colorful public art and a butterfly-attracting pollinator garden along the way. With connections to our citywide trail network, Spirit Park is a natural fit for the growing community of families, young professionals and seniors who call Allen home. No matter your age, we hope you'll be inspired by the spirit of play when you visit. Watch for grand opening festivities coming this fall! *Facility and open skate hours vary depending on season and programming. Call front desk for information. Rentals See pages 70-71 for information. Amenities Find Ice Rink programming on pages 64-65! Daily Lunch Freshly prepared meals are served MondayFriday from 12-1PM for members at the cost of $4 per meal and $3 for a garden salad. Preregistration is required no later than 9:30AM on the same day. Find Senior programming on pages 54-57! Want to find out more about ASRC? The CenterLink is a bimonthly newsletter featuring all upcoming programs, events and trips. The CenterLink is available at ASRC and online at AllenParks. org/ASRC. Children 6 and younger must have an adult in the water with them at all times. Children 10 & older may be dropped off by parents. Activities Sounds of basketballs dribbling, weights clanking and laughter at the foosball table are heard daily at Joe Farmer Recreation Center. Programs offer chances to learn new leisure and social skills, develop healthy lifestyles and experience unique recreation activities. Join the community and make fitness a new routine! See pages 70-71 for information. Find JFRC programming throughout the guide in the Special Events, Camps, Young Children, Youth and Teens & Adults sections! Children 17 and younger must be registered for the daily admission pass by an adult 18+. The Courses at Watters Creek The Courses at Watters Creek offers 33 holes on multiple courses that are designed for players of all abilities. Bring the family for a round on the friendly six-hole course or end your day on the lighted driving range. Special programs are available for men, women and juniors. FootGolf Course The Courses at Watters Creek now offers a 9-hole FootGolf course! FootGolf is a combination of soccer and golf. Find Golf programming on pages 66-67! WattersCreekGolf.com Course and range hours vary; check website. The Edge Riding a skateboard, scooter, BMX bike and inline skates on handrails and a picnic table is encouraged at The Edge, one of Texas’ largest outdoor skate parks. When taking a break, hang out with other extreme sports enthusiasts in the visitor center’s media room, game room and snack bar. Take advantage of the high-flying fun year-round! *Open at noon during school holidays. All outdoor activities at The Edge are considered high risk activities. Safety equipment including but not limited to helmets, and knee and elbow pads are strongly recommended. Fees are not charged for the use of the outdoor amenities or the main lobby area of The Visitor Center. BMX Track, In-Line Hockey Rink and Skate Park rules and regulations available at AllenParks.org. See pages 70-71 for information. Find The Edge's programming throughout the guide in the Special Events, Camps, Young Children, Youth and Teen & Adult sections! HALLOWEEN SKATE Get in the spirit of Halloween at Allen Community Ice Rink’s Halloween Skate. There will be candy, raffles and much more. All on-ice participants must wear skates. Those who dress up in their costumes will receive a free skate rental. DROP & SHOP HOLIDAY SKATE Enjoy on-ice games and activities, including pictures with Santa and more. All on-ice participants must wear skates. Adult supervision is required for children 8 years and younger. Donate two nonperishable food items and receive a free skate rental. The City of Allen’s Annual Christmas Tree Lighting will be bringing even more holiday cheer this year! With a new location at Allen Public Library, join the Allen community for the grand lighting of a new 46-foot Christmas tree with more than 20,000 lights! All ages are welcome at this FREE family-friendly community event. Expect surprises, live entertainment, a visit from Santa and his elves and new festivities that will be sure to light up your holiday season! YOUNG CHILDREN TINY TOTS - OPEN GYM Children will have fun socializing with others in a gym full of age-appropriate, safe play equipment, and bounce house! On the second and third Tuesday of the month enjoy Parents Corner or Tiny Works. Parents must be in attendance during playtime. Volunteers play a vital role in the success of the Allen Parks and Recreation Department. GETTING STARTED WITH CLOUDLIBRARY IS AS EASY AS 1-2-3! ALLEN HERITAGE GUILD Preserving and promoting Allen’s heritage and spirit. Please call 972.740.8017 or visit AllenHeritage.org. Give your brain a workout with Parks & Recreation STEAM programming! GROUP ADAPTED AQUATICS Swimming instruction for participants with special needs; class instruction will include basic water skills to increase water adjustment. An adult is required to be in the water. Call 214.509.4770 to learn more. Register at DRN. SNAP INTO ART SNAP it, color it, paint it, create it! Enjoy creating art projects will all your friends. This class is programmed for individuals with special needs and will be modified to fit everyoneâ&#x20AC;&#x2122;s needs. AGE: 5+ | COST: $60 Members/$75 Non-Members (8 classes) | $30 Members/ $40 Non-Members (4 classes) LOCATION: Leisure Pool/DRN 7783, T/TH, 8/28-9/27, 5:30PM-6:00PM 7784, T/TH, 8/28-9/27, 6:05PM-6:35PM 7785, SA, 09/01-09/29, 8:25AM-8:55AM 7786, SA, 09/01-09/29, 9:05AM-9:35AM 7787, T/TH, 10/02-10/25, 5:30PM-6:00PM 7788, T/TH, 10/02-10/25, 6:05PM-6:35PM 7789, SA, 10/06-10/27, 8:25AM-8:55AM 7790, SA, 10/06-10/27, 9:05AM-9:35AM 7791, T/TH, 11/01-11/15, 5:30PM-6:00PM 7792, T/TH, 11/01-11/15, 6:05PM-6:35PM 7793, SA, 11/03-11/17, 8:25AM-8:55AM 7794, SA, 11/03-11/17, 9:05AM-9:35AM 7795, T/TH, 11/27-12/20, 5:30PM-6:00PM 7796, T/TH, 11/27-12/20, 6:05PM-6:35PM To prevent class or program cancellations, please register at AllenParks.org at least one week prior to start date. Let’s make Allen a healthy place to live! Alliance for a Healthier Allen (AHA) is an organization whose sole purpose is to promote healthy, active lifestyles throughout the community. Joining AHA is FREE and each AHA member participating in identified wellness opportunities has the opportunity to win prizes throughout the year. Our goal is to increase wellness opportunities for children, adults and families. With a $29,385 grant from the North Central Texas Council of Governments through funding from the Texas Commission on Environmental Quality, 26 recycling receptacles will be placed at the future park with a goal of diverting 20% of trash from the local landfill to the recycling stream. PARK CLASSIFICATIONS C: COMMUNITY F: FACILITY G: GREENBELT NP: NATURE PRESERVE N: NEIGHBORHOOD P: POCKET PARK R: REGIONAL SU: SPECIAL USE SC: SPORTS COMPLEX U: UNDEVELOPED W: WELLNESS Find out about park classifications at AllenParks.org/ParkClassifications. Allen's new 75-acre community park will have a lighted softball complex, playground called "The Hideout," pollinator garden, 25 acres of natural wooded area, trail loop and more! The Cottonwood Trail passes by ASRC to the Allen Heritage Village. The project includes a 12’ wide trail, 95’ steel pedestrian bridge, and vegetable garden for the Seniors. Experience the history behind what put Allen on the map through interpretive panels overlooking the scenic Historic Dam and Water Station. Find SNAP Dances and additional SNAP programming on pages 34-35! WATER SAFETY INSTRUCTOR CERTIFICATION This course trains participants to teach swimming lessons through the American Red Cross with a focus on critiquing and evaluating a student’s progress. Participants will receive a certificate via email upon successful completion of the course. Love group exercise but donâ&#x20AC;&#x2122;t want to join the gym? Don Rodenbaugh Natatorium offers Aerobic Punch Cards that allow you to participate in any 12 water or land fitness classes of your choice and they never expire! City of Allen Financial Assistance Program Mission of C.A.R.E. (Citizen Assistance for Recreation Experiences): To provide recreational opportunities through financial support to qualified Allen residents in order to promote citizen involvement, build a strong sense of community and increase social and physical well-being. Allen Parks and Recreation Department offers financial assistance for qualified residents. Financial assistance is available for most recreational programs, classes and memberships offered at JFRC, DRN, TE, ASRC and Athletic Programs. It does not include league fees. Registration packets, league schedules, standings and free agent information can be found on the Athletics website. ASRC Punch Card Allen Senior Recreation Center offers Punch Cards for Line Dancing, Pilates, Yoga and Zumba classes. Must purchase at the front desk and give to instructor before each class you attend. Cards are non-refundable and non-transferrable. Lost cards will not be replaced. All cards will include a six-month expiration from the date of purchase. PERSONAL TRAINING (ASRC) Begins with a 30-minute assessment, during which Kerry Stallo, certified trainer, will review your medical history, fitness goals, and assess you current physical condition. Class and program times, Class and times, dates andprogram instrctors are dates and instrctors are subject to changes and subject to changes and cancellations. For questions cancellations. For questions or or more information, contact more information, contact the the recreational facility. recreational facility. HOLIDAY EXTRAVAGANZA IN BRANSON, MISSOURI - ASRC TRIP NEW Come join ASRC on a bus tour to Branson,Missouri, the "Live Music Show Capital of the World!" This five day, four night trip will bring you a rich array of music and comedy. Enjoy seven fabulous Branson shows! It’s National Ice Cream Day! What’s your favorite spot for frozen treats in Allen? Don’t forget! Trash day slides one day due to holiday. Heads up! Traffic crews will be working on the signals at your neighborhood entrance this Monday morning. WATER SAFETY INSTRUCTOR CERTIFICATION This course trains participants to teach swimming lessons through the American Red Cross with a focus on critiquing and evaluating a studentâ&#x20AC;&#x2122;s progress. Participants will receive a certificate via email upon successful completion of the course. Competitive Stroke Clinic This program prepares swimmers for competitive swim team environments. A FREE skills assessment (times available at DRN) must be completed before registering. Swimmers new to stroke clinic are preferred to register on Monday/Wednesday. BEGINNER STROKE CLINIC Swimmers will work on developing proper technique through a variety of drills for each of the four competitive strokes. Pre-requisite: 25-yard freestyle; 25-yard backstroke; 25-yard breaststroke; 25-yard butterfly. AGE: 6-16 | COST: $35 Members/ $45 Non-Members (8 classes) | $17.50 Members/$22.50 Non-Members (4 classes) LOCATION: Competition Pool/DRN SEE CHART BELOW FOR SCHEDULE. INTERMEDIATE STROKE CLINIC Swimmers will continue to develop their technique for all four strokes. Flip turns and block starts are also introduced. Pre-requisite: 50-yard choice warmup; 50-yard freestyle; 50-yard backstroke; 50-yard breaststroke; 50-yard butterfly. AGE: 6-16 | COST: $45 Members/ $55 Non-Members (8 classes) | $22.50 Members/$27.50 Non-Members (4 classes) LOCATION: Competition Pool/DRN SEE CHART BELOW FOR SCHEDULE. ADVANCED STROKE CLINIC This course is for advanced swimmers and will refine stroke technique with an emphasis on interval training and endurance. Prerequisite: 100-yard warm up; 200-yard freestyle; 200-yard backstroke; 150-yard breaststroke; 100-yard butterfly. AGE: 6-16 | COST: $55 Members/ $65 Non-Members (8 classes) | $27.50 Members/$32.50 Non-Members (4 classes) LOCATION: Competition Pool/DRN SEE CHART BELOW FOR SCHEDULE. ADULT SKATE Have fun and experience skating with other adult enthusiasts. Adult Skate is open every Friday for recreational practice. Skate rental is included. Please check monthly schedule for any possible changes. GOLF JUNIOR PROGRAMS (The Plane Truth Golf continuted) FUTURES TEAM: LEVELS 1-3 (BOYS & GIRLS) The Futures Team is designed for young athletes interested in starting the game of golf. Team members will play regularly on our six-hole par three and nine-hole golf courses. Each participant will graduate from this team with an improved skillset and friendships for a lifetime. DEVELOPMENTAL AND ELITE TEAMS: LEVELS 4-9 The Developmental Team is designed for players starting to participate in tournament golf. Players in this program have progressed through The Futures Team and have shown a desire to reach their potential. The Elite Team is designed for accomplished players who are dedicated to taking their games to the highest level possible. This program includes TrackMan usage combines individual instruction and on-course coaching. GIRLS TEAM: LEVELS 4-9 The Girls Team is designed to create an environment to grow passion and love for the game, have fun and build friendships with golf and improve golf skills. Pavilion Rentals Reservations A number of pavilions are available for rent through Allen Parks and Recreation. All pavilions are available on a first come, first served basis. A $50 deposit plus hourly fees are required. A complete list of Pavilion Rental Rules and Regulations will be provided upon reservation confirmation. PLEASE KEEP IN MIND: •	None of the pavilions have patron accessible electricity. •	There is a $50 deposit for each rental. •	No tobacco products, firearms or alcoholic beverages are allowed on premises. •	There is a two-hour minimum for each rental. Host a memorable birthday party, broomball or unique group event at Allen Community Ice Rink! You can choose from private ice rental to party space with skates included. Customize your event package from 12 to 100+ guests, and make it unforgettable with options including skating coaches and catering. No outside food and beverage allowed. Boasting one of the largest indoor pools in Allen, Don Rodenbaugh Natatorium is the perfect place for a celebration. Rent the entire facility or just the leisure pool, competition pool or rock wall. Two multipurpose rooms that hold 25 to 50 people can be used for parties. Also, patio rentals are available for outdoor gatherings. Whether you want a special place for a birthday party, meeting, family reunion or other celebration, Joe Farmer Recreation Center has amenities for all occasions. A gymnasium with six basketball goals and racquetball courts, and a game room with table tennis, air hockey and foosball provides a variety of opportunities. Have your special occasion, corporate meeting, club gathering or reunion at The Courses at Watters Creek! A beautifully furnished banquet facility and fullservice professional catering staff will pamper you with casual to formal dining packages. For a fun party experience, get a group together and play FootGolf. Plan your next small gathering at Lakeside Clubhouse! This climate controlled indoor facility has a beautiful balcony, overlooking Bethany Lakes Park. There's even a fireplace for the cold days! The rental includes 40 chairs and eight, six-foot rectangle tables. Thereâ&#x20AC;&#x2122;s no better place to host an extreme birthday party or social gathering than The Edge The skate park, which is one of the largest outdoor facilities of its kind in Texas, has a variety of bowls and street fixtures, providing fun skating opportunities for all ages and skill levels. Been a customer within the past year? Your account may have already been created in the new ACTIVE Net system. Use your email on file as your login and click "Forgot Your Password?" OR If you do not have an account, click "Create New Account". If you have questions or to receive more information, call 214.509.4750 or 214.509.4770. Mail-in registrations are accepted up to one-week prior to a class start date. Indicate credit card information on the registration form or include a check or money order payable to the City of Allen. Find registration forms online at AllenParks.org. Fees REGISTRATION FEES All program fees are set according to the cost of the instructor, supplies and minimum class enrollment. Some programs may require additional fees or supplies and may be offered at member and non-member rates. 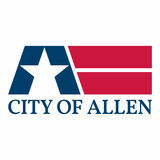 In most cases, programs will not be held on holidays recognized by the City of Allen. All fees collected support and finance these programs. Wait Lists WAITING LISTS Is your class full? If so, we can place you on a waiting list. We will notify you if a space becomes available or a new class is formed. Payment is not required until you are registered for an open class position. Policies TRANSFER POLICY Participants may transfer to another available class before it begins without charge but only if the enrollment for the class transferred from will not drop below the minimum. ASSUMPTION OF RISK By registering for a class there is an assumption of risk by the participant. The Allen Parks & Recreation Department is dedicated to providing safe facilities and equipment for all participants, as well as qualified staff and instructors. In the event of a serious accident or illness, it is City policy to contact: •	The Allen Fire Department Emergency Services to perform First Aid and when necessary, recommend transport to a hospital. •	Each parent or legal guardian as soon as the situation allows. SIBLING POLICY Due to the structure of child/parent classes, only children who are of the appropriate age for the class will be permitted to register and attend the program. No younger or older siblings will be allowed in the classroom to sit and watch or be left unattended in the lobby. PARENT POLICY Please refrain from entering the teaching area during class to eliminate interruptions between the instructor and participants. There will be special days to view your child’s progress. PHOTO POLICY Staff or hired photographers may take photos of class participants. The photos may be used for City of Allen promotional purposes in the Activity Guide, brochures, flyers, news releases or the website. Refunds REFUNDS Customer service is our top priority! If you are not satisfied with a class, please let us know immediately so we can correct the situation. If you need to request a refund, please contact an Allen Parks & Recreation Department facility. FULL REFUNDS WILL BE ISSUED IF: •	Participation is not possible due to class cancellation or a change in day, time or location. Refunds will not be subject to any administrative charges. PARTIAL REFUNDS WILL BE ISSUED IF: •	Participation is canceled after the class starts due to unusual circumstances (e.g. sickness or injury). The refund will be prorated minus charges for furnished supplies. All partial refunds are subject to a $10 administrative fee. •	Participation is canceled regardless of reason with notification of five (5) or more calendar days before the class starts. •	Participation in any program is canceled with less than five (5) calendar days notice and we are able to fill the vacancy prior to the start of the program. NO REFUNDS WILL BE ISSUED IF: Participation is canceled with notification less than five (5) calendar days before the class starts and we are unable to fill that vacancy. Focusing on youth sports in Allen for more than 40 years. for upcoming registrations! Allen Sports Association is non-proďŹ t, volunteer-based community organization offering sports programs for kids 3 to 18-years-old. CELEBRATE THE HOLIDAYS WITH THE CITY OF ALLEN! THERE TRULY IS SOMETHING FOR EVERYONE DURING THE HOLIDAY SEASON IN ALLEN! Allen Parks and Recreation is proud to offer a number of great celebrations, festivities and holiday happenings that are sure to warm the heart even in freezing temperatures. For more details, see pages 18-21 or visit the merriest of websites, AllenParks.org. The Allen Parks and Recreation Department's LIFE guide is your roadmap to Learning, Interests, Fitness and Events in Allen, TX.